An SEO tool is something site owners, and online marketing specialists literally can’t live without. Just imagine doing site audit or competitive analysis manually every single day. Sounds like torture, doesn’t it? Well, these tools save a ton of time by automating everyday processes. That said, they don’t have to cost a fortune. In this post, I’m going to review the less-known platform that has the best quality/price ratio on the market. Now let’s have a closer look at each category. Your competitors in real life and Web may differ. Your real life competitors are people that sell the same products that you do when Internet competitors are sites that rank for the same keywords. Competitors report shows a list of domains that rank for a large number of your keywords. You can search by domain or keyword. Pay attention to all keywords / common keywords ratio. If the site ranks for the same keywords that you do and the difference between these two numbers is small, it means that this site is one of your main competitors. Sites with a huge difference in these numbers aren’t your competitors as they have a too wide range of keywords. See, Amazon may rank for a large number of the same keywords as you do, but it also ranks for a ton of other keywords. We need only sites with a specific focus. You can add or remove competitors from this report manually, and then export this report to the spreadsheet. Missing Keywords report shows a list of keywords that your competitors’ page is ranking for in the SERP Top 10, while your researched page is not ranking for these keywords in the Top 100. If any other page of your site ranks for a keyword from this report, you’ll see its URL in the ‘Other URLs contain’ column. Also, you can compare two or three URLs and estimate the numbers of unique, common, and all keywords. These tools can help you find gaps in your keyword research strategy, find avenues for improvement, get a lot of keyword ideas, and improve your search visibility. Top pages report shows best-performing pages of your competitor, your own site, or by the keyword. You can sort results by organic keywords, FB/Linkedin/Google+ shares. Potential Traffic is the number of monthly user visits a page could have received additionally if it had gotten to the first position for all keywords currently ranked for in Top 20 search results. Check your competitor’s positions and find their best-performing keywords. This information can help you find their strong and weak spots and develop an appropriate strategy. With this tool, you can find your competitors in PPC and check ads and keywords your competitors use. To get all the ads and keywords of a particular URL, click on ‘Show all queries’. Analysis of competitors ads may help you write better headlines and descriptions for your own ads, optimize display URLs, choose right keywords to bid on. Do they build high-quality backlinks or not? How did their strategy change over time? What tactics did they abandon? What tactics do they use for a long time? If you analyze several competitors, you can find a top of valuable sites to work with and improve your strategy. Keyword Selection brings up all keywords associated with the researched query based on the full-text search. This tool also has a keyword difficulty feature, a keyword metric designed to help you figure out what it takes to get to the top spots in SERP for the desired keyword. Using it, you can easily understand if it’s worth investing money and time in a certain keyword. 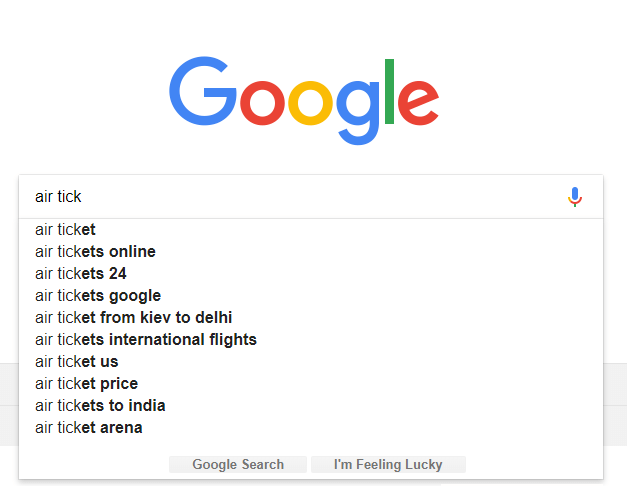 Search Questions are interrogative forms of Google search engine’s suggestions. Researching the questions asked by your audience and come up with ideas to inspire your content marketing efforts and resolve the searcher’s query. Optimize your pages for a lot of keywords instead of the single one. Text analytics analyzes top-10 sites and recommend you what keywords to use in Title, Description, H1, Body text. Referring Domains report shows all domains that link to your domain/URL, the number of backlinks earned from individual referring domains, their Page Rank and Trust Rank, and Alexa Rank. You can also monitor how the situation changes over time. Since you have to use different anchors and avoid using brand anchor too often, it’s useful to check your most common anchors from time to time. It’s important to stay ahead of the curve by keeping track of position changes in SERPs for keywords your site is ranking for. Rank tracker shows how your site ranks for the tracked keywords in Google Top 20. You can set up daily monitoring. Also, you can monitor your competitors’ rankings and see the traffic share by your common keywords. Thus, you’ll see how many traffic grabs each competitor and can come up with a proper strategy. The History tab encompasses your rankings data on tracked keywords throughout the time since you set up the campaign. A site audit is a tool that checks your site performance. The report shows types of errors, links to resources where they’ve been noticed, and suggests ways to fix them. So this tool gives you the list of errors your site contain along with their location and tells you how to fix them. It’s all you need to improve site performance and identify optimization opportunities to make your site rank higher and work faster. There is even a free plan where you can perform 30 searches and audit 100 pages in a month. You can read more information about limits here. This tool has all features you need to surpass your competitors, create optimized content for your site, build quality link profile, and improve your SEO performance. And it has surprisingly low prices for these type and level of service. As to weak spots, the tool doesn’t provide all databases I need. Also, they could update analytics positions more frequently. 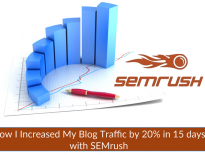 Despite this, I’ll definitely add this tool to my the must-have SEO tools I use every day!